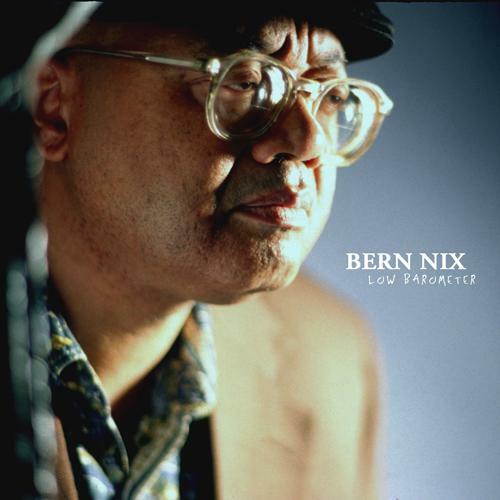 Bern Nix, a thoughtfully expressive guitarist in the jazz avant-garde, best known for his close association with composer and saxophonist Ornette Coleman, died on Wednesday at his home in New York City. He was 69. His death was confirmed by Denardo Coleman — Ornette’s son, and the drummer in his fusionesque band Prime Time, which has recently been preparing for a memorial Ornette Coleman Festival at Lincoln Center in July. Nix favored a cool and nearly unprocessed tone on his guitar, rarely making his presence felt through an assault on the senses. His style was in close dialogue with the jazz guitar tradition as it extends from Charlie Christian to Jimmy Raney to Jim Hall (with many others in between). Still, Nix maintained a highly specific brand of fluency in Ornette Coleman’s proprietary improvisational language, Harmolodics. Harmolodics is about the relationship between style and process in improvisation. It is also about human rights and issues surrounding equality. Simply put, Harmolodics respects every single voice in an ensemble, without creating a preference or elevated function for any one instrument. He wasn’t the first guitarist to fully master these proprietary strategies: That distinction belongs to James “Blood” Ulmer, who preceded Nix in Coleman’s band. But where Ulmer made his guitar feel like an extension of his bluesy, bellowing vocals, Nix always sounded like a jazz guitarist working freely within a framework. In Prime Time, Nix was the quieter half of a two-guitar front line, with Charles Ellerbee, a rougher and more rhythm-oriented player, operating as his foil. Both guitarists appear on a spirited slew of Prime Time albums made from 1976 to 1988: Dancing In Your Head, Body Meta, Of Human Feelings, Opening the Caravan of Dreams, In All Languages, Virgin Beauty and Jazzbühne Berlin '88. Any of Prime Time’s recordings will provide an illustration of Nix’s subtle yet central role in the band. In a limited sense, so does this 30-year-old clip from a concert in Cologne, Germany. In the mid-1980s, while still a member of Prime Time, Nix formed his own trio. But it took almost a decade before an album appeared under his name: Alarms And Excursions, released in ’93 on New World Records, with Fred Hopkins on bass and Newman Taylor Baker on drums. It’s still the definitive document of Nix as a bandleader and composer, largely working with swinging rhythm. Low Barometer, an album released on Tompkins Square in 2006, features Nix in an arid solo setting, on a steel-stringed acoustic guitar. The results, which warrant comparison with analogous recordings by Derek Bailey, John Fahey and Marc Ribot, demonstrate Nix’s broad imaginative resources on his instrument. The pieces on the album were based on Harmolodic études he had devised while working with Coleman in the ‘70s. Denardo Coleman said that the Prime Time reunion would proceed as planned this summer, possibly with Al McDowell playing Nix’s melodic part on a piccolo bass. An earlier version of this obituary incorrectly stated Nix’s birth year as 1950, and his age as 66.